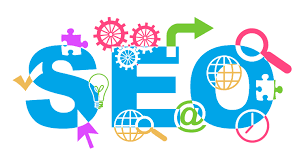 You know how SEO is crucial to any website and blog nowadays. You know that if you don’t optimise it for search engines, your traffic won’t be as good as you wish. But if you aren’t a technical person, you might be concerned that you will never see your posts on the first page of Google Search. That you have no clue about coding, and that it is essential to ensure a higher ranking. Good news is that it is only partially right. Yes, there are many technical things that you can do so to achieve better results. But Google has been moving closer and closer to a place where these things won’t be as significant as they were. The search engine wants to avoid people trying to game the system and using black hat techniques to boost traffic. It means that non-technical strategies already are and will be even more essential to decide who appears first on Google Search. Having said that, let’s check some of the best non-technical SEO strategies that you should start using right now. The first thing that you will need to get right is what you know about your audience. So if you haven’t done much research, it is high time for you to do it. You will want tofind out who is your target audience, which time they are online, and what they are looking for on the web. It is also important that you find out if they will be coming across your content through a desktop or a mobile device, what their age group is, and if they prefer visual or written content. You might think that it has nothing to do with SEO, but here is where many people get it wrong. A successful SEO strategy depends on delivering the right content to the right audience. So if you don’t understand well who they are, nothing else will work. Another factor that will influence your ranking is how long your visitors stay on your blog or website. If they just click on the Google Search’s result, spend 3 seconds on your page, and get back to Google Search, you will look bad on the search engine’s book. And it is because it will think that you are delivering something different from what you promised, or because your content is poor. So as you hopefully are not committing the first crime, make sure that you fall into the second one by mistake. If you want that personactually read or watch your content, you will need to give them a reason for it and provide the ideal environment. It means that you will make the sure that your content is aligned with their needs and that it is easy to read and scan, visually friendly, and useful. Your keywords are still vital to your SEO strategy. It is through them that Google algorithm understands what your content is about and if you got the best answer to the enquiry that they have. So make sure that you select and add the right keywords to your website or blog. They should be the words used by your target audience to search for your topic, product, or service, and nothing else. Also feel free to add synonyms and related words. It will help you to avoid stuffing too many keywords and making your text sound unnatural. And remember that they should also be in your anchor text and alt text of your images. Your headline is your business card. It is the first thing that your audience will see, so make sure that it will be the best one you can come up. There are many techniques to help you to achieve, and you can have a look at the best sites for writing services if you need any support. Your headline should be catchy, engaging, but also enticing, so you will encourage people to click on it. It should also have the most valuable keyword on it. A perfect SERP is something that you should build as a top priority. It means that you should craft a title tag and a metadescription that will add value to your content. You will want that your audience understands that your post or page has the best answer when they see it on Google Search. And you won’t achieve it if you leave the robot behind the engine “create” it for you. So make sure that you take your time preparing your title tag and meta-description, and not only to your websitebut to each page or post. Add the right keywords and stick to the limit number of characters, so you can rest assured that it will go as you want it. As you can see, SEO is mostly about delivering great content, tailored to your audience, and marked in a way that the search engines can find and understand it correctly. And these are things that you can do without any technical knowledge. So get back to work and check what needs to be improved on your website or blog. You can be sure that you will see the improved results on your analytics very soon.